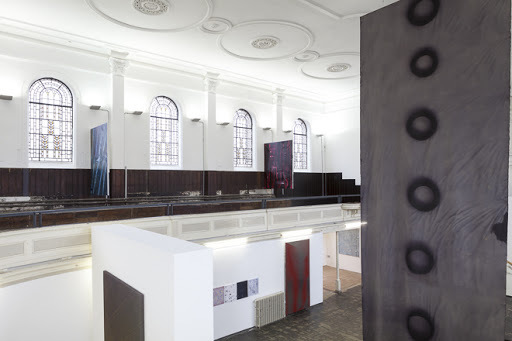 Painting from the Zabludowicz Collection consisted of five solo exhibitions and one group show at the Collection’s London exhibition space. 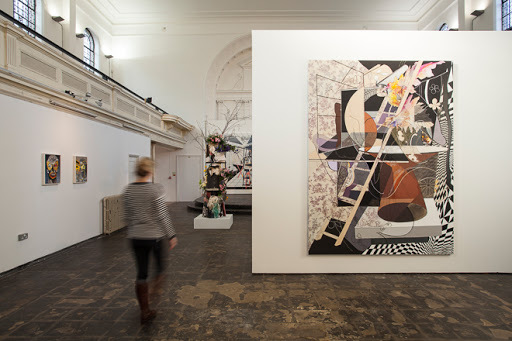 It brought together displays of works by Francesca DiMattio, Matthew Chambers, Josh Smith and Albert Oehlen, as well as a group show entitled Painting in the 2.5th Dimension. [i] While the solo presentations sought to engage with the attitudes and specific working practices of the artists in question, the group show focused on an exploration of what an expanded notion of painting might consist of today, taking into account the reciprocal influences of fields such as photography, sculpture and science. Spanning more than 30 years, the works in these shows invited visitors to enjoy one of the most established art forms through its current manifestations and its recent past. 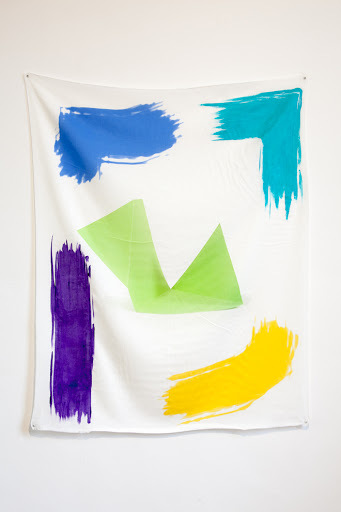 Matthew Chambers challenges himself to produce paintings that interest and surprise him, in which he ‘can go beyond the image, or beyond the idea of an image into a state of catharsis’. 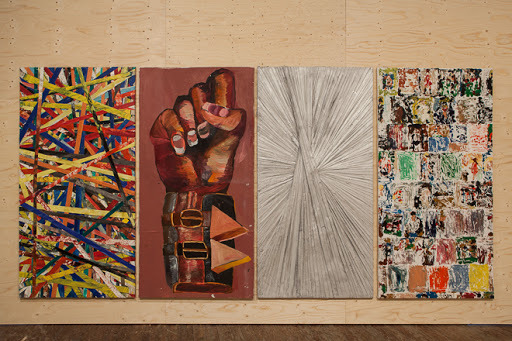 Failing that, he tears unsuccessful paintings into strips, which he uses to compose what he calls his ‘slash paintings’, some of which are then painted silver and transformed into ‘chrome monochromes’, rising phoenix-like from the debris of frustration. 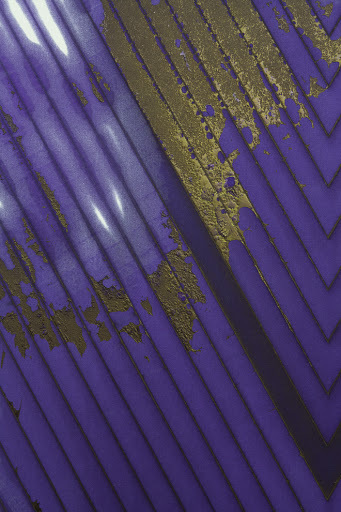 The materiality of Francesca DiMattio’s works is also crucial to their meaning, and the cultural connotations of the paints, fabrics, ceramics and found materials she uses influence how we understand them. Her use of collage within a painting or a ceramic sculpture pushes materials past their comfort zones, and they acquire a totally new meaning, which ‘calls for new adjectives’, as DiMattio puts it. 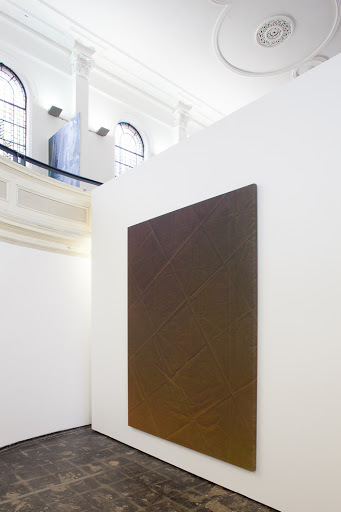 In discussing her approach to the act of painting, Jessica Dickinson describes a process of ‘putting the surface through certain events’. This yields what the artist calls a ‘“radically cared-for surface”, but it’s cared-for and banged around … painting is a surface on which a lot of time has been spent’. 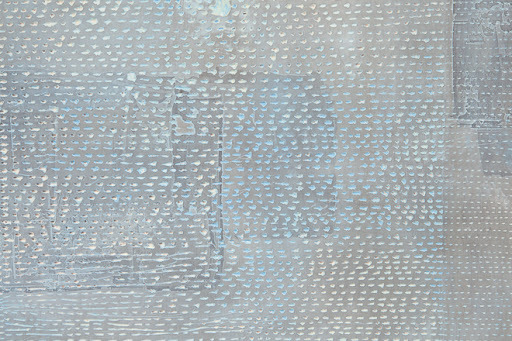 Dickinson’s abstract paintings depict the processes of their own evolution, which are evident both in the finished works and via a number of by-products such as the wax rubbings of these paintings made at different stages in their production. For Nathan Hylden, a decisive attitude in developing unique processes of production is an essential tactic for creating his own meaning among myriad other possibilities: ‘I believe, as is common, that setting up certain parameters creates an opening for me to work.’ Honing one’s own unique methods is an essential approach in this day and age, when the historical significance of particular materials and tools risks foreclosing the meaning of a work. By developing their own recipes and ingredients, artists ensure the integrity and interest of their work. 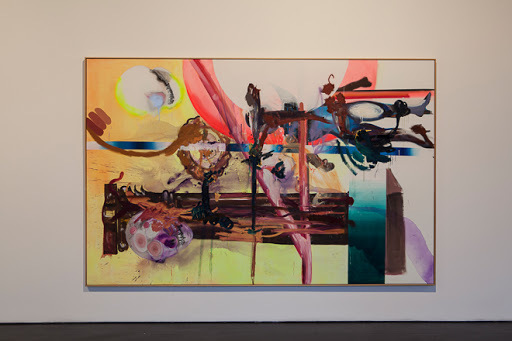 These interviews also make it clear that the conceptual binary of abstraction versus figuration is no longer apposite to discussions around contemporary painting, and that other terms might be sought instead. These new expressions might circumvent the paralysing crisis in the discourse around representation by addressing materiality and meaning together, in one fell swoop. Concepts or words such as ‘concrete’, ‘literal’ or even ‘narrative’ might enable us to begin exploring the actual sequences and processes implicit – indeed, often explicit – in the works. In many of these works, the process of making is foregrounded to such an extent that it becomes central to the concept of the work. Finding a new way of talking about painting might involve telling the story of how works are made, or, better still, highlighting the ways in which they already tell the story of their own making. This catalogue brings together interviews with artists, conducted in person and by email. It has been a privilege to work with artists on these collaborative conversations, which have enabled us to create meaning together by accounting for the intentions that preceded the work as well as the material results of those intentions. 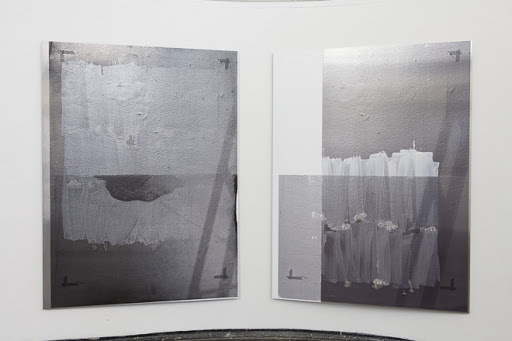 Painting is not a fixed thing; it suggests a space, an openness, a field of enquiry that constantly remakes itself. It calls forth an active viewer, and invites us to engage with materials, processes and ideas in ever-changing ways. 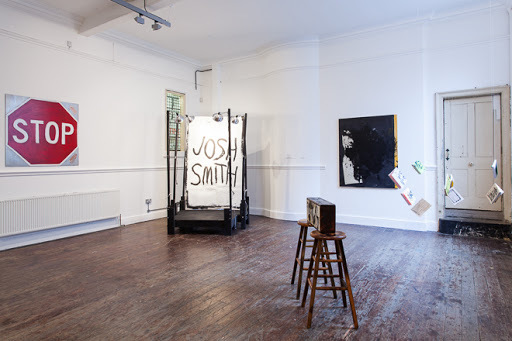 After the exhibition itself, this collection of interviews – in which every effort has been made to let the voices of the artists ring true – is the first port of call on an ongoing journey. This entry was posted on July 17, 2013 by ellendw.